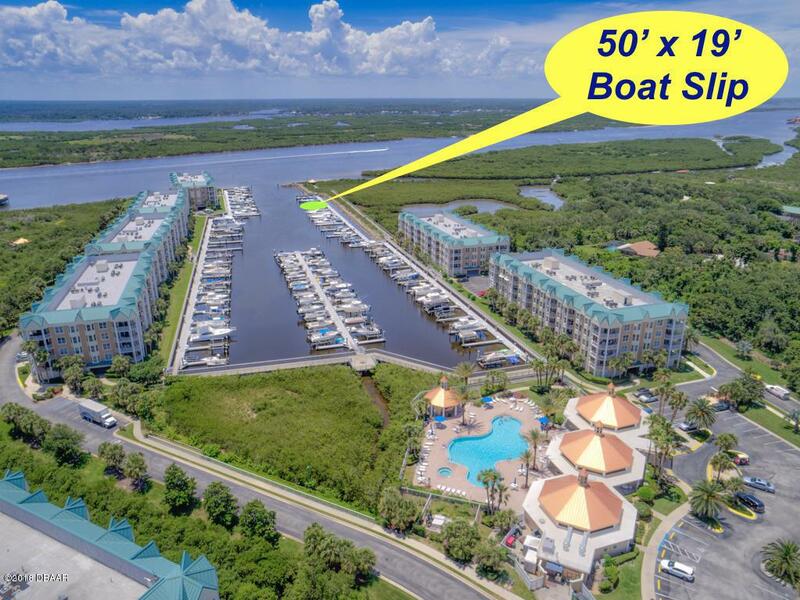 Dock your boat on the Halifax River/Intracoastal Waterway at this perfectly located 50' boat slip just minutes to the Ponce de Leon Inlet and the azure Atlantic ocean in the exclusive Harbour Village Yacht & Golf Club in beautiful Ponce Inlet!! 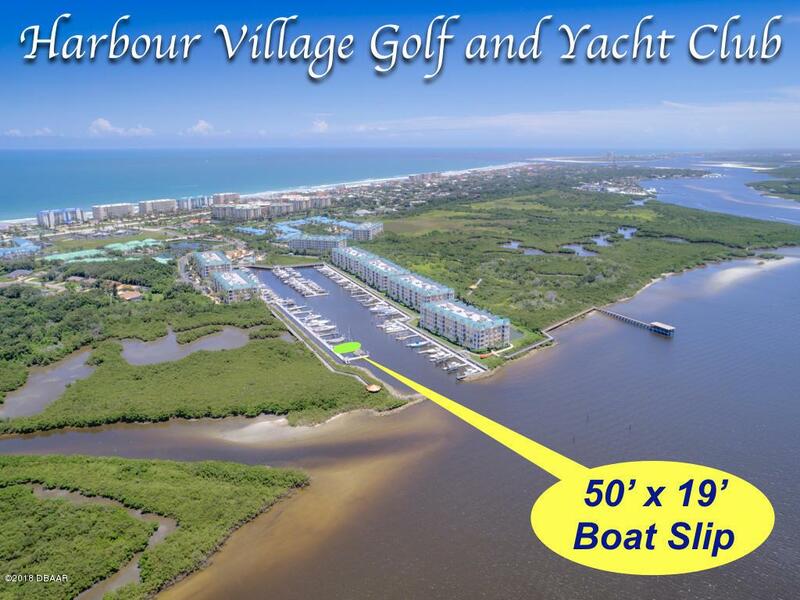 This private marina with video security provides safe harbor for your vessel with the convenience of easy River to Ocean access! The full-time on-site Dock Master is available for services & assistance. 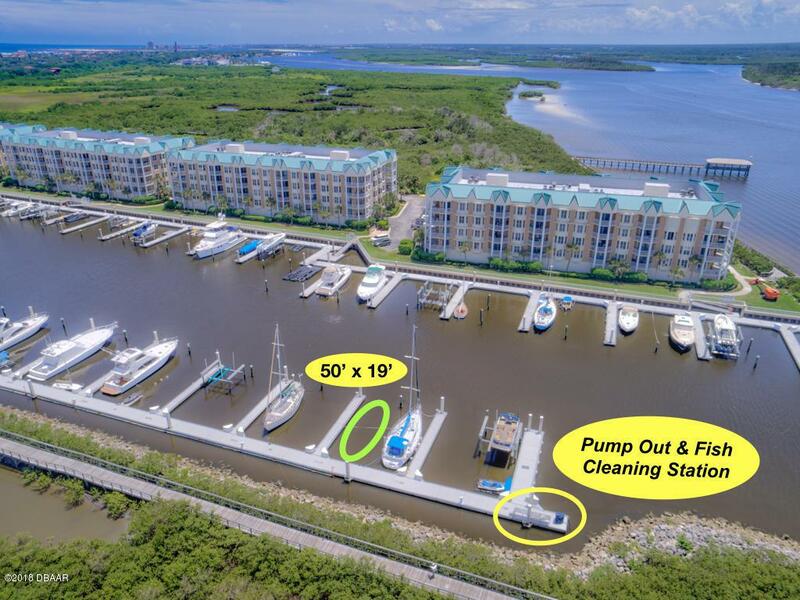 Access your slip from the state-of-the-art reinforced concrete floating dock which offers both electric and water utilities included as well as fish cleaning station. SAME SELLER OWNS BEAUTIFUL 3/3 CONDO, MLS #1043511 & IS MOTIVATED TO SELL AS A PACKAGE! !